On the eve of the fifth anniversary of APP’s Forest Conservation Policy (FCP), ten NGOs, among which WWF, issued a joint statement, highlighting five issues that indicate the company is not yet on a sustainable track and progress on its commitments has not been sufficient. On the eve of the fifth anniversary of APP’s Forest Conservation Policy (FCP), ten NGO´s, including WWF, issued a joint statement, highlighting five issues that indicate the company is not yet on a sustainable track and progress on its commitments has not been sufficient. 1. Disclose data on pulp production and wood supply to an independent audit and invite the NGOs who publish this statement as observers to the audit. 2. Disclose detailed data on land conflicts that APP and its suppliers have with communities including the number of conflicts, how many have been resolved, and what standards and processes are being used for conflict resolution and resolve all remaining land conflicts with communities within certain agreed time by affected communities. 3. Disclose the potential land swap areas through the supplier review process as mandated under its FCP requirements and invite the NGOs who publish this statement as observers to the process. 4. 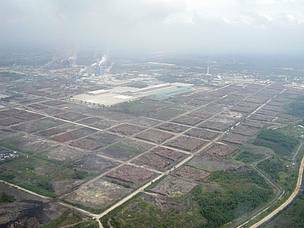 Disclose a plan for phasing-out all drainage in plantations on peatland and implement it to take responsibility over the restoration of the peatlands it contributed to destroy/damage even after the area has been swapped for new areas. 5. Disclose all connections APP, Sinar Mas and its employees have with pulpwood concessions in Indonesia to reveal its total environmental and social footprint. 6. Agree to implement the roadmap for end disassociation with FSC as developed by FSC with support and inputs including from the NGOs signine NGOs signing this statement.